TY Thursday: More Than a Thank-You - Communicate! For many nonprofit organizations, December is a time to worry. Will you see checks in the mail (or clicks on the Donate button) from the donors who gave last year? You have a right to worry. In the U.S., only 30% of first-time donors to nonprofit organizations renew their gift the next year. You read that right! If you’re like most nonprofit organizations, more than 2 out of every 3 new donors will give to you once and then forget all about you. You can turn that one-time donation into a renewal. In one week. This week. A massive earthquake killed thousands in Nepal and India on April 25, 2015. The massive 7.9 magnitude earthquake hit Nepal with devastating force less than 50 miles from the capital, Kathmandu. My wife and I know people who come from Nepal, and the images of the devastation touched our hearts. So, on April 27 we made a small donation of $50 through the international charity Global Giving. We received a report from Global Giving about what they were doing with the donation and what difference it made. Not in December. They emailed us on May 6–one week after the gift! The Nepal Youth Foundation is providing emergency supplies to hospitals, sheltering and caring for people discharged from hospitals who cannot return home, particularly women and children. All this for a $50 donation. All this, in the first week. 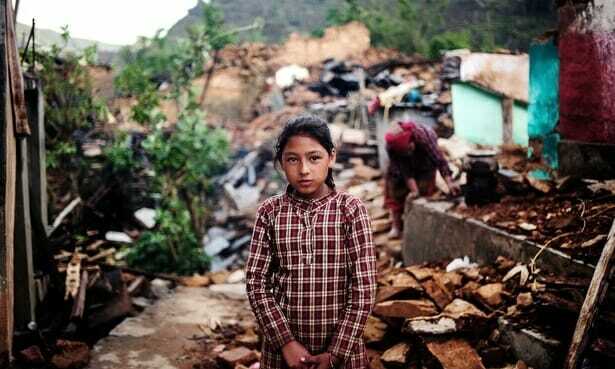 When Rona and I give again to Nepali relief, why wouldn’t we channel our donation through Global Giving? Now, I know a lot of nonprofit organizations are still struggling to send a timely, personal thank-you letter. And if you’re one of them, absolutely, do all you can to make that happen. But that’s the minimum that donors expect. The secret to getting donations for your non-profit is to give donors what they want. People give to causes to make a difference in others’ lives. And what donors really want to know is how their donation will help people. Are you telling them the impact of their donation? Start! Do it this week.